You won't believe its not a single family! Three floors of finished living space. Rarely coming to market, it is one of the best condos in the fairway estates. You will love the cathedral ceilings, exposed beams, open concept, eat-in kitchen with brand new countertops, integrated sink, and peninsula, not to mention a walk-out finished basement with bonus office/den. Enjoy the brand new gas fireplace, summers out on the private deck and attached garage. Each bedroom is sunny and spacious with great closet space and a full bathroom on the first and second floor. Perfect for an owner occupant, the association is also exceptionally managed - they take care of all exterior maintenance from the studs out and you'll never have to worry about shoveling snow, pruning trees or mowing your lawn ever again! 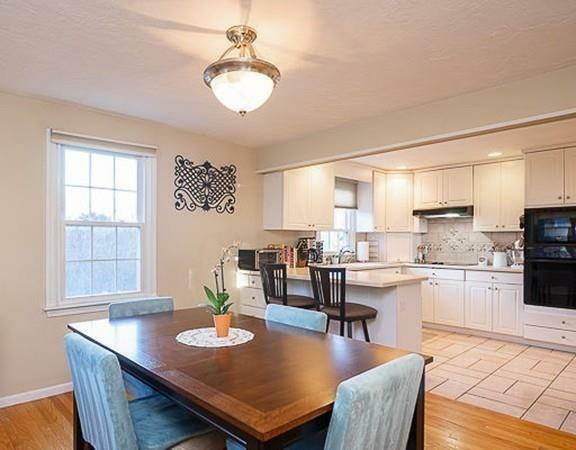 This home is also an exceptional commuter location, a short drive to Route 9, Mass Pike, commuter rail, grocery stores and the famous Natick Mall! This is one not to be missed!